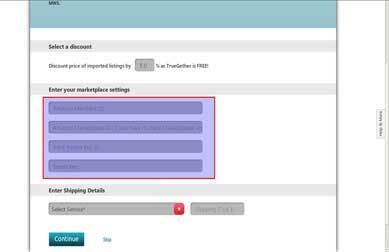 You can Copy your Listings from Amazon to TrueGether in just few simple steps. Login to TrueGether, You will see your “My Profile page”. Click on “Copy from Amazon“ link under “Sell an Item Now” section. Now, Amazon Configuration page will open This page has three sections “Select a discount”,“Enter your marketplace settings” and “Enter Shipping Details”. Step 3, Step 4 and Step 5 will explain you about the three section. 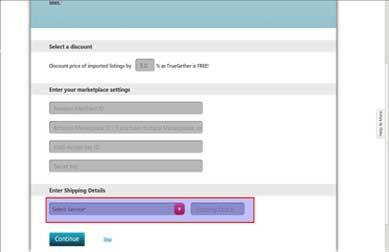 Select a discount As TrueGether does not charge any listing or selling fee, so when you import any product from Amazon you may want to discount your price. For e.g. : If you enter 5 in this discount % box and your item price on Amazon is $100, so when you import your listings from Amazon your item price will be $95 on TrueGether. You can also enter 0 in this discount box. 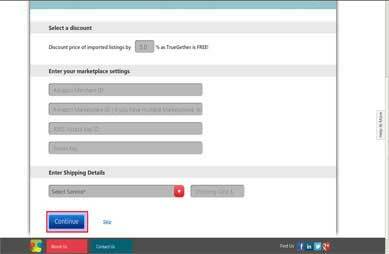 Enter Shipping Details Select the shipping service from dropdown and enter the shipping cost. This service and cost will be applied to all imported listings from Amazon. After filling the details. Click on “Continue”. 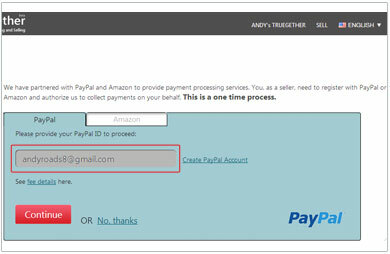 If you have not configured PayPal/Amazon Payments, It will take you to Payment configuration page. We need your PayPal Id as payment is directly deposited to your account by PayPal. Enter your PayPal id and click on “Continue“. It usually takes 24 to 48 hours before you see your listings on TrueGether. 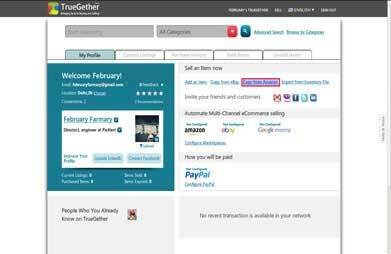 If you add, edit or end listings on Amazon, it will be automatically reflected on TrueGether. You continue to use Amazon as your primary marketplace. 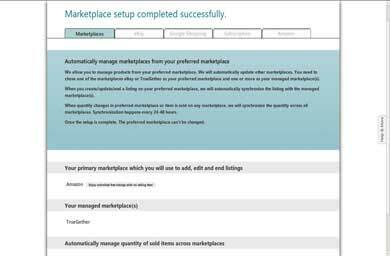 If you add other marketplaces to manage from TrueGether, your Amazon listings will be automatically exported to additional marketplaces.